There are a lot of ways you can get inspiration for your backyard makeover. First, consider a trip to your nearest Home Depot gardening center. There you’ll find all kinds of planters, flowers, patio furniture and grills that you could bring into your space. 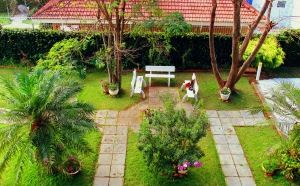 If you want to go beyond some planting, then you might want to check out the numerous reality TV shows dedicated to backyard makeovers. That is where you might become motivated to put in a new deck or fence. You could even create an entire outdoor kitchen and seating area with open fire pit. You are only limited in your imagination and budget. Before you get started, you’ll deftly want to have a “clean slate.” That would mean removing all the unwanted items in your backyard. That is easily accomplished with a single call to Junk King Palm Beach. For your appointment, you’ll be assigned to dependable and hard-working movers. This is the team that is going to lift and load anything you want taken from your yard. They’ll also be in charge of taking apart things like a sandbox, tool shed, hot tub or above ground swimming pool. Those are the kinds of jobs deftly want to turn over to someone else especially when it comes to getting rid of all the stuff you’re taking down. That could require a trip far out of town to find a certified recycling center that would take in all those materials. Thankfully, those drop offs are always on Junk King’s route. The same can be said for the many charities that Junk King Palm Beach has partnerships with. These are the organizations that are happy to take in things like old furniture, appliances and clothing. They’ll certainly put them to good use when you’re done with them. As for the cost of all this hard work and dropping off you’ll find that Junk King Palm Beach’s pricing policy is fair and affordable. They only charge a flat rate based on how your stuff will be packed onto the truck. Since the crews like to make as many stops as possible during the workday they also need to pack up those trucks very tight. That’s going to translate into big savings for your job. Get your backyard into great shape for summer by starting with a call to Junk King Palm Beach. This entry was posted in junk removal and tagged backyard, clutter, Junk King, junk removal on May 30, 2016 by Dave Archer. Last updated August 11, 2017 . You could be sitting on a moneymaking franchise right in your own home and not even know it. That spare guest room that you don’t use could be the perfect place to rent out for the occasional traveler. Thanks to travel sites like AirBnB, there are many homeowners who have discovered a way to generate extra income with very little effort. They are just making their guest room available for out of town visitors. Best of all, you don’t have to entertain those visitors just provide them a decent place to sleep at night. If you’re eager to make money with your guest room, then you’ll want to bring in Junk King Palm Beach first. These are the junk removal experts that can help clear out the clutter and get that spare room ready for occupancy. As you do some research on the travel websites you’ll find that having a picture of the space you’re renting out is vital for attracting visitors. You don’t have to have fancy artwork on the walls. You just want to create an atmosphere that is inviting. That means getting rid of the boxes of clutter and old electronics you might have in storage in that spare room. All of that can be turned over to Junk King Palm Beach. The two-man moving crew who will be assigned to your junk removal session will be able to clear out that room in less time than it takes to make a smoothie in the morning! In advance of the crew showing up, you just need to get straight with what you want to have taken away. Although your focus might be on decluttering the spare room, there is no reason why you can’t put the crew to work clearing out the clutter from the rest of your home. That work can also extend to the backyard. That Junk King Palm Beach crew can make a big difference clearing away fallen palm fronds or taking down things like a swing set. Showing a picture of a backyard oasis could be another great selling feature for your potential renters. 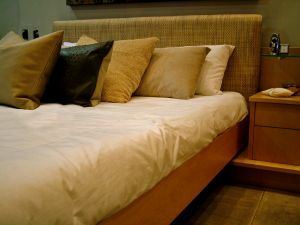 Before renting out your spare room let Junk King Palm Beach work its magic clearing out the clutter. This entry was posted in junk removal and tagged clutter, Junk King, junk removal, spare room on May 21, 2016 by Dave Archer. Last updated August 11, 2017 .